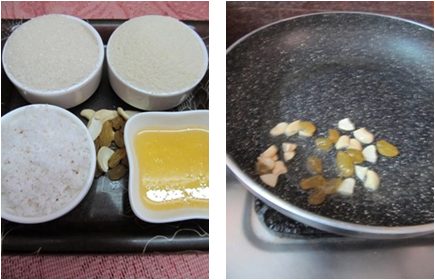 Heat ghee in a non stick kadai add chopped cashew nuts, raisins and fry, once done transfer them to a plate and keep aside. 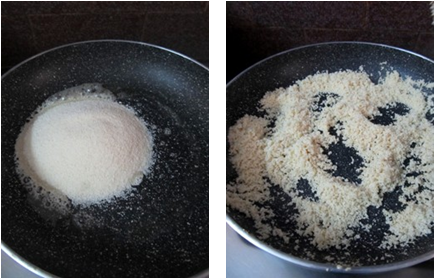 To the same pan add semolina/suji and stir-fry on medium fire till it turns slightly golden brown or the raw smell goes away. 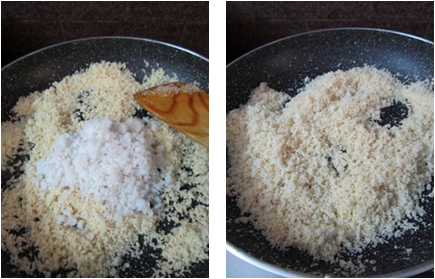 Then add grated coconut and stir-fry on low flame for a couple of mins, then turn off the flame and transfer to a bowl. 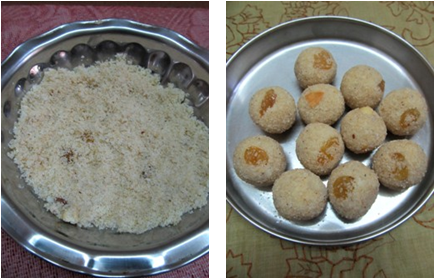 Now add sugar powder and mix well, add in elaichi powder, fried cashew nuts and raisins. 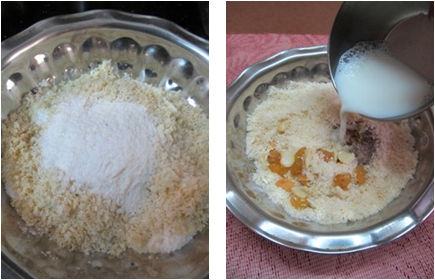 Pour warm milk over the rava mixture and mix thoroughly, keep aside with cover for 10 mins. 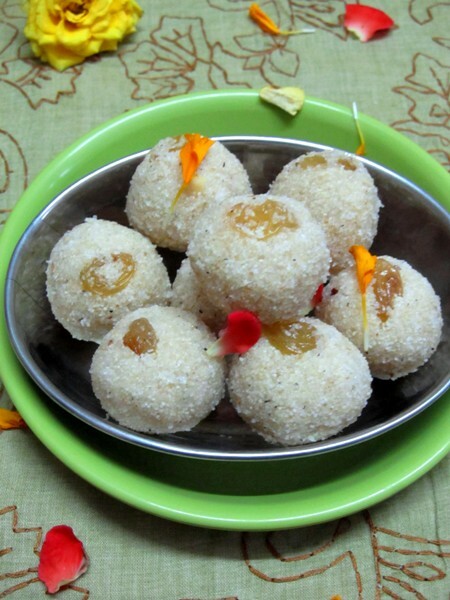 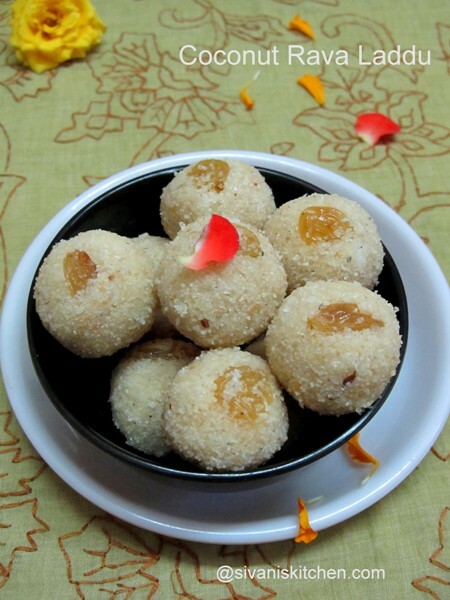 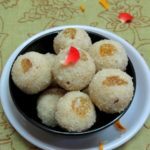 After that mix well again and roll the coconut suji mixture into laddus with raisins, now yummy yummy coconut rava laddus are ready for naivedyam.